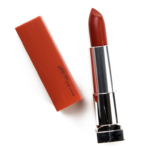 Maybelline Spice for Me Color Sensational Made for All Lipstick ($7.49 for 0.15 oz.) is a muted, medium-dark copper with strong, warm undertones and a cream finish. It had rich pigmentation that applied well to my lips in a single, fluid stroke that never tugged or dragged. The texture was creamy without being heavy or overly emollient, which made it comfortable and easy to apply. The color went on evenly and stayed on well for five hours on me and felt lightly moisturizing. 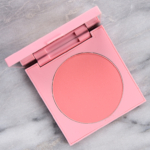 MAC Marrakesh (P, $18.50) is lighter, cooler, glossier (90% similar). NARS Deborah (P, $34.00) is more shimmery, darker (90% similar). 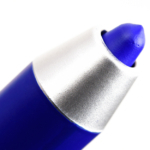 MAC Smarticle (LE, $18.50) is lighter, warmer (90% similar). Bite Beauty Hot Harissa (LE, $26.00) is lighter, cooler (90% similar). MAC Chili (P, $18.50) is lighter (90% similar). Anastasia #3 (Vol. 1) (PiP, ) is lighter, warmer (85% similar). 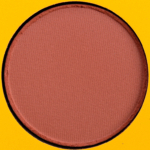 MAC Tabla (P, $18.50) is more shimmery, warmer (85% similar). YSL Chili Tunique (80) (P, $38.00) is darker, more muted, cooler (85% similar). Dior Ultra Trouble (436) (P, $37.00) is lighter (85% similar). 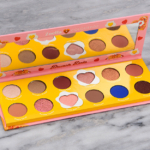 Coloured Raine Queendom (P, $17.00) is lighter, warmer (85% similar). The ColorSensational formula is supposed to have "crisp and vibrant color" with a "sensuous finish" that is "comfortable" to wear. The "Made for All" range is specially designed to be "universally flattering" across 50 skin tones for each shade in the line. 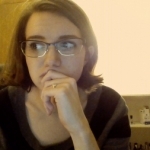 Most of the shades had semi-opaque to opaque color coverage that went on evenly and didn't settle into my lip lines. 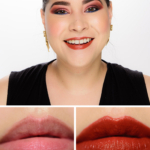 The consistency was lightweight, emollient without being slippery, and comfortable to wear, which ensured the color glided across my lips without tugging. The shades lasted for four to six hours on me with some of the deeper shades staining, while the formula felt lightly moisturizing. 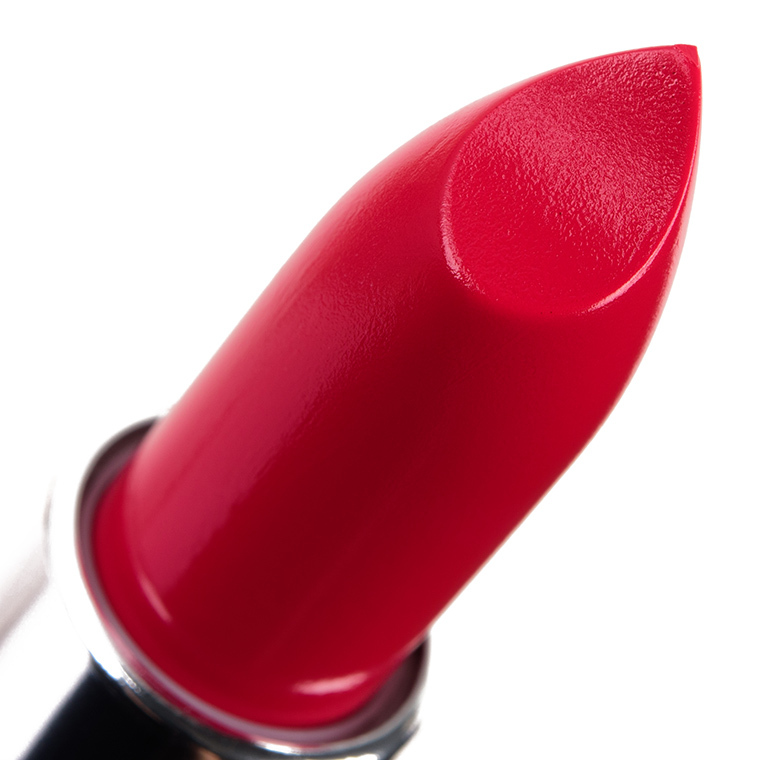 The matte finish has a more velvety feel and wasn't hydrating. It had a sweet, caramel-like scent to my nose but no discernible taste. Browse all of our Maybelline Color Sensational Made for All Lipstick swatches. Lanolin Oil, Oleyl Erucate, Hydrogenated Castor Oil Dimer Dilinoleate, Acetylated Lanolin, Sesamum Indicum Seed Oil / Sesame Seed Oil, Petrolatum, Cera Microcristallina / Microcrystalline Wax / Cire Microcristalline, Cera Alba / Beeswax / Cire Dabeille, Paraffin, Synthetic Wax, Disteardimonium Hectorite, Tocopheryl Acetate, Vinyl Dimethicone/Methicone Silsesquioxane Crosspolymer, Calcium Aluminum Borosilicate, Alumina, Pentaerythrityl Tetra-Di-T-Butyl Hydroxyhydrocinnamate, Pentaerythrityl Tetraisostearate, Polyhydroxystearic Acid, Synthetic Fluorphlogopite, Silica, Butyrospermum Parkii Butter / Shea Butter, Acrylic Acid/Isobutyl Acrylate/Isobornyl Acrylate Copolymer, Octyldodecyl Neopentanoate, Aluminum Hydroxide, Benzyl Alcohol, Mel / Honey / Miel, Tin Oxide, BHT, Tocopherol, Hydrogenated Palm Glycerides Citrate, Calcium Sodium Borosilicate, Dimethicone, Citric Acid, Parfum / Fragrance. May Contain: CI 77891 / Titanium Dioxide, Mica, CI 77491, CI 77492, CI 77499 / Iron Oxides, CI 45410 / Red 28 Lake, CI 15850 / Red 7, CI 45380 / Red 22 Lake, CI 15985 / Yellow 6 Lake, CI 19140 / Yellow 5 Lake, CI 42090 / Blue 1 Lake, CI 75470 / Carmine. 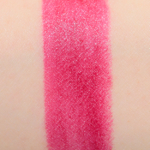 Maybelline Fuchsia for Me Color Sensational Made for All Lipstick ($7.49 for 0.15 oz.) 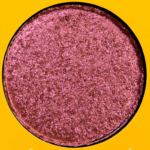 is a deep, raspberry pink with subtle, cool undertones and a cream finish. It had semi-opaque pigmentation that applied evenly, but there was something about the texture that was more prone to emphasizing my lip texture and catching on imperfections (and as always, I exfoliated prior!). The texture was lightweight, creamy without being too slippery, and comfortable to wear over the five and a half hours it lasted for. The formula felt lightly hydrating over time. 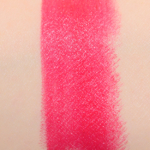 Burberry Magenta (33) (P, $34.00) is brighter, less glossy (95% similar). Chanel Framboise (P, $37.00) is darker (95% similar). Burberry Crimson Pink (241) (P, $34.00) is darker (90% similar). 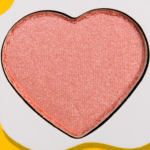 MAC Flowerscope (LE, $18.50) is more shimmery, lighter, cooler (90% similar). Bite Beauty Radish (P, $26.00) is more shimmery, lighter, cooler (90% similar). Chanel Infrarose (72) (P, $37.00) is more shimmery, lighter (90% similar). Colour Pop Mucho (P, $6.50) is darker, warmer (90% similar). 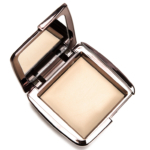 Tom Ford Beauty Sasha (LE, $36.00) is more shimmery, lighter, warmer (90% similar). Bite Beauty Juniper (LE, $24.00) is more shimmery, darker, warmer (90% similar). 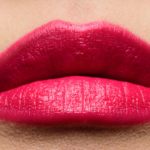 Maybelline Vivid Rose (DC, $7.99) is more shimmery, lighter, warmer (90% similar). Maybelline Plum for Me Color Sensational Made for All Lipstick ($7.49 for 0.15 oz.) is a rich, medium-dark reddened plum with warm undertones and a cream finish. 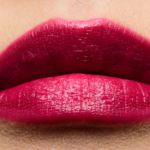 It had nearly opaque color payoff in a single layer, which applied smoothly and evenly across my lips without tugging. The texture was lightweight, creamy without being too slippery, and comfortable to wear. It stayed on nicely for five hours and was lightly moisturizing while worn. Tom Ford Beauty Love Crime (P, $54.00) is darker (95% similar). MAC Marsala (P, $21.00) is more shimmery, darker (95% similar). 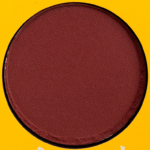 Bobbi Brown Grenadine (P, $29.00) is lighter (95% similar). Inglot #293 Lipstick Cream (P, $12.00) is more shimmery, darker (90% similar). Tom Ford Beauty Jack (2016) (P, $36.00) is darker (90% similar). 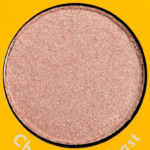 MAC Claretcast (P, $21.00) is lighter, brighter (90% similar). Pat McGrath Sorry Not Sorry (P, $38.00) is lighter, less glossy (90% similar). 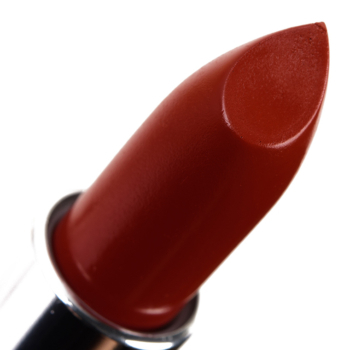 Giorgio Armani Art Deco (502) (PiP, $38.00) is warmer, less glossy (90% similar). 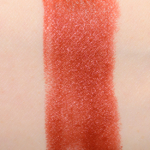 NYX Merlot (P, $6.00) is lighter (90% similar). Bite Beauty Mulberry (DC, $24.00) is more shimmery, lighter, warmer (90% similar). 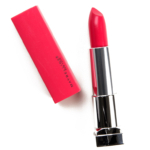 Maybelline Color Sensational Made for All Lipstick $7.49/0.15 OZ. If I didn’t already have a fantastic dupe for it, I would definitely get Spice For Me! It’s a stunner! Too bad the quality is a little off with Fuchsia For Me. I love that they kept it from running too bluish and instead went warmer with it. Plum For Me is a worthy contender up against many far more expensive dupes! Spice For Me is definitely for me! Beautiful shade and I hope we get this in Australia soon. I definitely don’t NEED Spice For Me cause I own MAC Chili and wear is almost every day (I’m wearing it right now!) but man, it’s really singing to me. gorgeous muted red-brown! !